I read today that one of the local authorities in Ireland is going to provide free electric car charging! See Electric car charging points proposed for Ennis Town in draft bye-laws. I think that this is a brilliant initiative! ESB (the incumbent electricity provider in Ireland) is currently looking for ambassadors to trial some electric cars. There are more details in The Great Electric Drive, and the Private Motorist Application Form will need to be completed before midnight on Monday 16th July (that is three weeks from today). A slightly worrying review of the Renault Fluence ZE – Seeking a surge but suffering range anxiety. I am still not convinced about leasing the battery, but at least the first two years are now free! 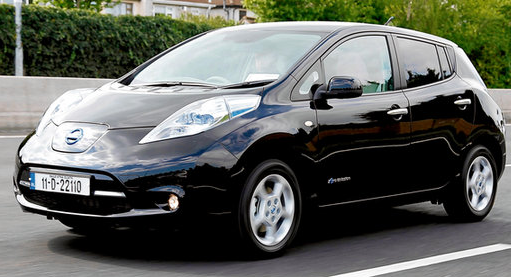 I previously wrote how I love the Nissan Leaf in Nissan Leaf. I have not yet spoken to anybody who owns and drives ones, but I did come across a very interesting blog today by an Irish owner – Irish Electric Dreams. Renault has confirmed the price of the Fluence ZE will start at €21,620 on the road (after the €5,000 Government grant), the same pricing as a Fluence diesel. But the big difference between the Fenault’s approach and Nissans is that buyers will lease the battery pack for €79 per month instead of buying it outright with the car. Renault’s approach is based on the fact that the industry is focussing on battery technology these days there are likely to be significant advances in the coming years, particularly in terms of range and weight. As these improvements are rolled out, owners can upgrade the Fluence’s battery pack and benefit from the better range. The risk of obsolence and redundancy therefore rests with the car firm. It is an interesting approach, and I wonder if it will succeed. There is an interesting (and encouraging) article about real Irish experiences of the Nissan Leaf in Electric drivers confident in their choice. I am rapidly falling in love with a new piece of hardware. It is built on cutting-edge technology, and it is strongly associated with mobility :) It is not a PDA, table, or digital camera… It is a car! Not any car, but the Nissan Leaf. However, the Leaf is different. It is widely being described as the first all electric car that is a viable alternative to a fossil fuel car! So why do I like it so much? I find the concept of a vehicle running on clean energy very appealing. I love the fact that it does not pollute. It think that motor technology is far more exciting than engine technology. It is clean, simple, and far less prone to wear-and-tear (no clutch, gearbox, fan belts, .. no liquids of any type)! Also, it has to be a pleasure to drive a vehicle with an almost constant torque output!